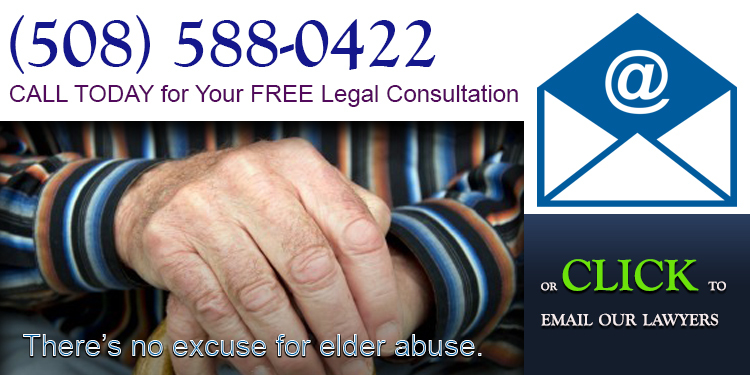 Did someone you love suffer elder abuse or neglect at Beaumont Rehabilitation and Skilled Nursing Center? Our lawyers can help. 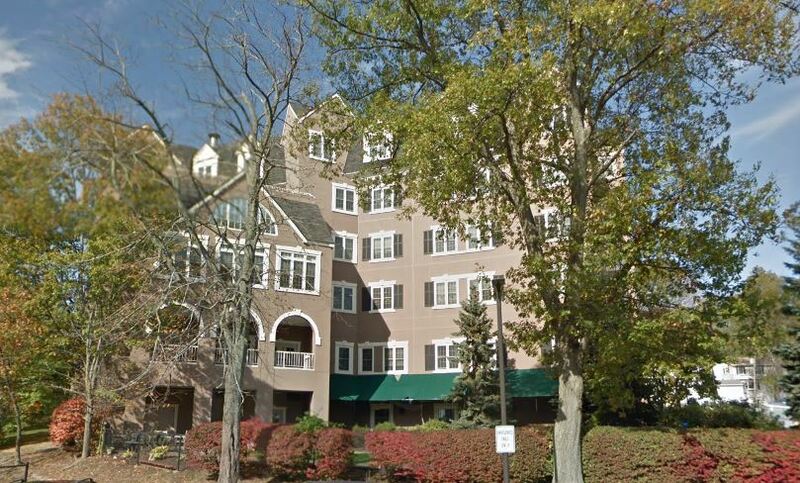 Beaumont Rehabilitation and Skilled Nursing Center is a for profit, 164-bed Medicare/Medicaid certified skilled nursing facility that provides services to the residents of Worcester, Shrewsbury, Millbury, Grafton, Northborough, Holden, Westborough, Leicester, Sutton, Clinton, and the other towns in and surrounding Worcester County, Massachusetts. As of 2018, Beaumont Rehabilitation and Skilled Nursing Center in Worcester, Massachusetts received a rating of 3 out of 5 stars. The Federal Government has not fined Beaumont Rehabilitation and Skilled Nursing Center in the last 3 years. Failed to honor the resident's right to request, refuse, and/or discontinue treatment, toparticipate in or refuse to participate in experimental research, and to formulate anadvance directive. **NOTE- TERMS IN BRACKETS HAVE BEEN EDITED TO PROTECT CONFIDENTIALITY** Based on interview and record review, the facility staff failed to ensure the Advanced Directives for 1 sampled resident (#367) were documented in the clinical record, per the resident’s wishes, in a total of 29 sampled residents. Resident #367 was admitted to the facility in ,[DATE] with [DIAGNOSES REDACTED]. Review of the History and Physical, dated [DATE], indicated Resident #367 was Full Code Status (attempt resuscitation), but did not want CPR (Cardiopulmonary Resuscitation- emergency procedure that combines chest compressions and artificial breathing). Shock and medications were okay. Review of the MOLST (Massachusetts Orders for Life Sustaining Treatment), signed and dated on [DATE], indicated to Attempt Resuscitation, no CPR except cardioversion (medical procedure to restore normal heart rhythm). ACLS (Advanced Cardiac Life Support) medications were okay. Review of the physician’s orders [REDACTED].#367 was Full Code status. On [DATE] at 12:12 P.M., the surveyor observed Resident #367 seated in a geriatric chair, in his/her room. The resident’s eyes were closed. During an interview on [DATE] at 3:50 P.M., Nurse #1 said Resident #367’s code status in the Electronic Medical Record (EMR) indicated he/she was a FULL CODE. She said that if she found the resident not breathing, she would initiate CPR, chest compressions, and intubation. Nurse #1 said the MOLST forms are reviewed on admission and the orders were added into the EMR under Physicians Orders. If the resident did not have a code status documented, she would refer to the paper chart to see if a copy of the MOLST had been completed. The surveyor and Nurse #1 reviewed Resident #357’s MOLST form which indicated the resident requested a Full Code status with no CPR- cardioversion. ACLS medications were okay. Nurse #1 said she was not sure what this meant but would get clarification. During a follow up interview on [DATE] at 4:15 P.M., Nurse #1 said the facility staff were looking for a way to make sure the resident’s code status was consistent in the EMR, the MOLST form, and the resident’s wishes. **NOTE- TERMS IN BRACKETS HAVE BEEN EDITED TO PROTECT CONFIDENTIALITY** Based on observations, interviews, and record review, the facility staff failed to implement the Falls Care Plan relative to the placement of alarms for 1 sampled resident resident (#354) in a total sample of 29 residents. Resident #354 was admitted to the facility in 2/2018 with [DIAGNOSES REDACTED]. Review of the Fall Assessment, dated 2/12/18, indicated Resident #354 was a high fall risk. Review of the Falls Care Plan, initiated 2/12/18, indicated Resident #354 was at risk for falls related to history of falls and placement into a new environment. There were no interventions added to the Falls Care Plan at this time. Review of the Activities of Daily Living (ADL) Care Plan, initiated 2/13/18, indicated Resident #354 had the following interventions: ambulate with assistance of 1 staff member with a rolling walker and a gait belt, apply TAB (personal) alarm to the wheelchair at all times, and a pad alarm while in bed. Review of the Nurse’s note, dated 2/13/18 at 6:28 A.M., indicated alarms were intact for safety. Review of the Nurse’s note, dated 2/13/18, indicated Resident #354 experienced a fall and sustained a skin tear. Review of the facility investigation, dated 2/13/18, indicated the resident experienced an unwitnessed fall at 12:05 P.M. in his/her room. The investigation indicated the resident’s pad alarm was under the cushion of the wheel chair and did not sound. The intervention added to the plan of care at the time of the fall included: TAB alarm on and functioning, and check for placement and functioning every shift. Review of the Nurse’s note, dated 2/22/18, indicated Resident #354 experienced a fall and sustained a skin tear on his/her elbow. Review of the facility investigation, dated 2/22/18, indicated the resident experienced an unwitnessed fall at 2:15 P.M. in his/her bathroom. The investigation indicated the resident was last seen sitting in his/her wheelchair in his/her room prior to the fall. Further review of the investigation indicated the chair pad alarm was in place, but was not functioning properly and did not sound. There is no indication that a TAB alarm was in place/functioning as care planned. On 2/28/18 at 3:56 P.M., the surveyor observed Resident #354 seated in a wheelchair outside of his/her room. The resident was dressed and had a chair pad alarm in place. A TAB alarm was not on as care planned. On 3/01/18 at 8:59 A.M., the surveyor observed Resident #354 seated in a wheelchair, in the dining room at the end of the unit, with rehabilitation staff. The resident was dressed and being assisted with breakfast. There was no TAB alarm on as care planned. On 3/01/18 at 11:03 A.M., the surveyor observed Resident #354 seated in a wheelchair in his/her room. The resident had a TAB alarm box positioned on the handle of the wheel chair. The surveyor observed the string and clip, used to attach the alarm to the resident, hanging down the backside of the resident’s wheelchair, not clipped to the resident as care planned. During an interview on 3/02/18 at 10:59 A.M., Certified Nurse Aide (CNA) #3 said Resident #354 required assistance with ADLs and was a fall risk. She said the resident was supposed to have a bed pad alarm, a chair pad alarm and a TAB alarm when seated in the chair. CNA #3 said the chair pad alarm is supposed to go on top of the wheelchair cushion. During an interview on 3/02/18 at 2:52 P.M., Unit Manager (UM) #1 said chair pad alarms are placed over the wheelchair cushions. She said that facility staff are aware of this. It was standard practice. UM #1 further said during the 2/13/18 fall, the chair pad alarm was placed under the wheelchair cushion and did not sound. She said the intervention at this time was a TAB alarm. UM #1 said during the 2/22/18 fall, the resident had a pad chair alarm and TAB alarm in place, but neither sounded. UM #1 said the TAB alarm was not attached to the resident during the 2/22/18 fall as care planned. Failed to ensure that a nursing home area is free from accident hazards and provides adequate supervision to prevent accidents. Based on interviews, observations and record reviews, the facility staff failed to maintain an environment as free of accident hazards as possible relative to locking and securing medications when left unattended, and ensuring 1 sampled resident (#354) received the appropriate assistive devices to prevent accidents in a total sample of 29 residents. – [MEDICATION NAME] (an antidiabetic medication) 1000 mg.
– [MEDICATION NAME] (a medication used to treat hypertension) 2.5 mg.
– Atorvastatin (a medication used to treat high cholesterol) 40 mg. The Surveyor interviewed Nurse #3 at 4:01 P.M. on 3/1/18. Nurse #3 said she did not leave the prescription medications unsecured and unattended on top of her medication cart and did not know who had placed them there. The Surveyor interviewed Nurse #2 at 4:05 P.M. on 3/1/18. Nurse #2 said she placed the prescription medications on top of Nurse #3’s medication cart and left them unsecured and unattended and should not have left them. 2. For Resident #354, the facility staff failed to ensure care planned interventions to prevent falls were consistently implemented. Resident #354 was admitted to the facility in 2/2018 with [DIAGNOSES REDACTED]. Review of the Fall Assessment, dated 2/12/18, indicated Resident #354 was a high fall risk. Review of the Falls Care Plan, initiated 2/12/18, indicated Resident #354 was at risk for falls related to a history of falls and a new environment. There were no interventions added to the Falls Care Plan documented at that time. Review of the Activities of Daily Living (ADL) Care Plan, initiated 2/13/18, indicated Resident #354 had the following interventions: ambulation assistance of 1 staff member with a rolling walker and a gait belt, apply TAB (personal) alarm to the wheelchair at all times, and a pad alarm while in bed. Review of the Nurse’s note, dated 2/13/18 at 6:28 A.M., indicated alarms were intact for safety. Review of the Nurse’s note, dated 2/13/18, indicated Resident #354 experienced a fall and sustained a skin tear. Review of the facility investigation, dated 2/13/18, indicated the resident experienced an unwitnessed fall at 12:05 P.M. in his/her room. The investigation indicated the resident’s pad alarm was under the cushion of the wheelchair and did not sound. The intervention added to the plan of care at the time of the fall included: TAB alarms on and functioning, and check for placement and functioning every shift. Review of the Nurse’s note, dated 2/22/18, indicated Resident #354 experienced a fall and sustained a skin tear on his/her elbow. Review of the facility investigation, dated 2/22/18, indicated the resident experienced an unwitnessed fall at 2:15 P.M. in his/her bathroom. The investigation indicated the resident was last seen sitting in his/her wheelchair in his/her room prior to the fall. Further review of the investigation indicated the chair pad alarm was in place and was not functioning properly/did not sound. There was no indication that a TAB alarm was in place and functioning. On 2/28/18 at 3:56 P.M., the surveyor observed Resident #354 seated in a wheelchair outside of his/her room. The resident was dressed. There was no TAB alarm in place. On 3/01/18 at 8:59 A.M., the surveyor observed Resident #354 seated in a wheelchair in the dining room at the end of the unit with Rehabilitation staff. The resident was dressed and was being assisted with breakfast. There was no TAB alarm in place. On 3/01/18 at 11:03 A.M., the surveyor observed Resident #354 seated in a wheelchair in his/her room. The resident was dressed and had a TAB alarm box positioned on the handle of the wheelchair. The surveyor observed that the string and clip, used to attach the alarm to the resident, was hanging down the backside of the resident’s wheel chair. The alarm clip was not attached to the resident. During an interview on 3/02/18 at 10:59 A.M., Certified Nurse Aide (CNA) #3 said Resident #354 required assistance with ADLs and was a fall risk. She said the resident was supposed to have a bed pad alarm, a chair pad alarm, and a TAB alarm when seated in the chair. CNA #3 said the chair pad alarm was supposed to go on top of the wheel chair cushion. During an interview on 3/02/18 at 2:52 P.M., Unit Manager (UM) #1 said that the chair pad alarms were placed over the wheelchair cushions. She said facility staff were aware of this. It was standard practice. UM #1 further said that during the 2/13/18 fall, the chair pad alarm was placed under the wheelchair cushion and did not sound. She said the intervention at this time was a TAB alarm. UM #1 said during the 2/22/18 fall, the resident had a pad chair alarm and TAB alarm in place, but neither sounded. UM #1 said the TAB was not attached to the resident during the 2/22/18 fall as care planned. Failed to provide or obtain dental services for each resident. **NOTE- TERMS IN BRACKETS HAVE BEEN EDITED TO PROTECT CONFIDENTIALITY** Based on interview and record review, the facility staff failed to offer routine dental services to 1 Resident (#34) in a total sample of 29 residents. Resident #34 was admitted to the facility in 2/2011, with [DIAGNOSES REDACTED]. Review of the clinical record indicated no consent/declination form for dental services for Resident #34. During an interview with Resident #34, he said he has not seen a dentist for regular visits since his admission to the facility. During an interview on 2/28/17 at 8:00 A.M., the Director of Nurses (DON), she said she was unable to locate a consent/declination form for dental services. Failed to provide each resident with a nourishing, palatable, well-balanced diet that meets his or her daily nutritional and special dietary needs. Based on observations, interviews and policy review, the facility staff failed to ensure the temperature of food was maintained at proper serving temperatures for safety and palatability. -Temperatures of the food items will be taken .to ensure potentially hazardous food is served at safe and proper temperatures. -Foods outside of the acceptable range will not be served. -All hot food items must be cooked to appropriate internal temperatures, held and served at a temperature of at least 140 degrees Fahrenheit (F). -All cold food items must be maintained and served at a temperature of 41 degrees F or below. -12:00 P.M. the food arrived to the fourth floor kitchen by Dietary Aide #1. -12:04 P.M. Dietary Aide #1 turned on steam table and plugged in hot box and plate warmer. The surveyors also tasted the food and found that the food was not hot enough. The veal piccata, in particular, was relatively cool to taste. During an interview on 3/06/18 at 8:40 A.M., the surveyor reviewed the test tray temperatures and observations with the Food Service Director (FSD). The FSD said she conducts test trays weekly, and the minimum temperature for the hot food items when served is at least 140 degrees F. The FSD said she was aware of some complaints of food temperatures on the third floor, but was not aware of any complaints on the fourth floor. The FSD said that she needs to put up signage about re-heating foods on the microwaves because she is not sure if facility staff, other then dietary, would know what the re-heating temperature requirement is. Based on observations, interviews and policy reviews, the facility staff failed to provide a sanitary environment relative to ensuring proper hand hygiene and use of hair restraints during meal service. During a meal observation on the fourth floor on 2/27/18 at 8:52 A.M., the surveyor observed Dietary Aide #2, who was serving the breakfast meal, touch his hat with his left gloved hand, then handle toast from the toaster using the same gloved hand multiple times. Dietary Aide #2 did not change his gloves and perform hand hygiene during the surveyor’s observation. During a meal observation on the fourth floor on 3/02/18 from 12:00 P.M. through 1:10 P.M., two surveyors observed Dietary Aide #1, who was serving lunch, change his gloves, but did not wash his hands prior to donning a new pair of gloves. Dietary Aide #1 was observed to have a beard, without a hair restraint in use, while serving the lunch meal. Diet Aide #1 was observed picking up food items with his gloved hand (roasted potatoes, lemon wedges in a pan without consistently using serving utensils), and between resident trays, Dietary Aide #1 was observed to touch counters, open the refrigerator door, open hot storage unit, multiple times without discarding his gloves, performing hand hygiene and donning new gloves. During an interview on 3/06/18 at 8:40 A.M., the Food Service Director (FSD) said all dietary staff are required to wear hair restraints which includes hair nets, hats and beard nets for facial hair. When the surveyor asked when staff should change their gloves and perform handwashing, she said glove changing/hand washing is done between any change in tasks, and/or when touching different areas like the refrigerators or the counters. The FSD said when dietary staff are changing their gloves, they would wash their hands prior to putting on new gloves. **NOTE- TERMS IN BRACKETS HAVE BEEN EDITED TO PROTECT CONFIDENTIALITY** Based on observation, record review and interview, the facility staff failed to maintain an accurate clinical record for one sampled resident (#29), out of a total sample of 29 residents. Resident #29 was admitted to the facility in 8/2010 with [DIAGNOSES REDACTED]. Review of the quarterly Minimum Data Set (MDS) Assessment, dated 11/28/17, indicated the resident had impaired long and short term memory, moderately impaired decision making ability, and impaired range of motion on one lower extremity. Review of the Treatment Administration Records (TAR) for 12/2017, 1/2018, and 2/2018 indicated no order for an Ankle Foot Orthotic (AFO) brace to the right foot. During an observation on 2/27/18 at 9:48 A.M., Resident #29 was being wheeled by a Certified Nurses Aide (CNA) from dining room to his/her room in a customized high back wheelchair with an AFO to the right foot. Both upper and lower right extremities were in a contracted position. During an observation on 2/27/18 at 11:23 A.M., the resident was in his/her room watching TV, with AFO to right foot in place. Resident was non-verbal, able to wave but not answer any questions. Review of the 2/2018 physician’s orders [REDACTED]. During an observation on 3/01/18 at 8:29 A.M., the resident was up and dressed in customized wheelchair, with AFO to right foot. During an observation on 3/02/18 at 9:40 A.M., the resident was in a customized wheelchair in his/her room, with AFO to right foot. During an interview on 3/02/18 at 10:00 A.M., Certified Nurses Aide (CNA) #2 said the resident always wore the right AFO when he/she was out of bed. She said the resident had worn the AFO for a long time. During an interview on 3/02/18 at 10:10 A.M., Unit Manager #3, said the resident was supposed to wear the right foot AFO but she was unable to find a physician’s orders [REDACTED]. **NOTE- TERMS IN BRACKETS HAVE BEEN EDITED TO PROTECT CONFIDENTIALITY** Based on record reviews, interviews, and observations for 1 (#364) of 29 sampled residents, the facility staff failed to maintain proper infection control practices during a treatment administration. – Before handling clean or soiled dressings, gauze pads, etc. The Physician Orders, dated 2/2/18 through 3/2/18, indicated a treatment order for left hip incision, normal saline wash, pat dry, and apply a dry clean dressing daily, and a treatment order for normal saline wash to buttocks, pat dry, apply [MEDICATION NAME] (a wound dressing) followed by an [MEDICATION NAME] (a adhesive foam dressing), change daily. The Surveyor observed Nurse #1 administer a treatment to Resident #364 at 11:18 A.M. on 3/1/18 to his/her left hip area surgical site that had sutures and to his /her bilateral buttocks wounds. Nurse #1 removed the old dressing from his/her left hip surgical site, removed her dirty gloves, and then donned a clean pair of gloves, without applying an alcohol-based hand rub or washing her hands. Nurse #1 then removed the dressing to his/her bilateral buttocks, removed her dirty gloves, and then donned a clean pair of gloves, without applying an alcohol-based hand rub or washing her hands. The Surveyor interviewed Nurse #1 at 11:37 A.M. on 3/1/18. Nurse #1 said she did not use hand rub or wash her hands after removing her dirty gloves and before donning a new pair of clean gloves. Nurse #1 said she does not usually use hand rub or wash her hands between glove changes. Nurse #1 said she was not sure what the facility policy was for handwashing between glove changes. **NOTE- TERMS IN BRACKETS HAVE BEEN EDITED TO PROTECT CONFIDENTIALITY** Based on observation and interview the facility staff failed to maintain resident care equipment in safe operating condition for one sampled resident (#67) out of a total sample of 29 residents. Resident #67 was admitted to the facility in 12/2017 with [DIAGNOSES REDACTED]. Review of the admission Minimum Data Set (MDS) Assessment, dated 1/5/18, indicated the resident had moderate cognitive impairment as evidenced by a Brief Interview for Mental Status (BIMS) score of 12 out of 15, was non-ambulatory, and dependent on staff for locomotion. During an observation on 3/01/18 at 10:58 A.M., the resident was seated in a shower chair in his/her room with multiple towels/sheet covering him/her, accompanied by Certified Nurses Aide (CNA) #1. During an observation on 3/01/18 at 11:01 A.M., CNA #1 wheeled the resident backwards down the entire hall to the shower room. During an observation on 3/01/18 at 11:18 A.M. CNA #1 wheeled the resident backwards down the entire hall from the shower room back to his/her room. During an interview on 3/01/18 at 11:57 A.M.,CNA #1 came to the surveyor and said I know you’re going to ask me why I wheeled the resident down the hall backwards. The CNA said because the wheels on the shower chair were so heavy she was afraid the resident would fall out if she pushed it forwards. When the surveyor asked if she had told anyone about this she said we have been complaining about that chair for years. During an interview on 3/02/18 at 10:14 A.M., Unit Manager #3 said the CNAs should not wheel residents backwards. During an interview on 3/02/18 at 1:49 P.M., the Administrator said he could not find an invoice for the last purchase of a shower chair, he said he wasn’t sure when the last time new shower chairs were purchased.